Some months ago I was interviewed by a UK based educational company in preparation for their release of content about the Brontës aimed for teachers and students. I guess my Jane Eyre obsession (and especially my website) led these wonderful people to me. If you would like to read my answers to their questions (bless you!) - check out the interview here. And although asking ME to talk about my love of Jane Eyre is my ultimate reward for doing anything in life, Train of Thought Productions was generous enough to send me a complimentary copy of the educational DVD "Brontës in Context." Which I don't think will be generally available in the U.S., so it was even more of a boon to get a copy! This is the story of Larry King, and how he was declared dead after his ship went down at sea. It begins with Larry on the run from the police. His dear wife Julia, gets him away, and Larry takes a job on a ship with questionable cargo. Larry is picked up by the police though, and is made to sail back to the States. The ship goes down, but Larry and the arresting officer are trapped in their cabin, in an air pocket - sure to eventually suffocate. However, the ship resurfaces and although the officer dies from injuries, Larry breaks out and takes the life raft to shore. He's prepared to go to obscurity now that everyone thinks he's dead. The whole 'being trapped underwater' thing is already a pretty horrifying and suspenseful concept, but that's just half the story here. There's another more ironic twist to the story that makes Larry's decision to take up a new identity more difficult. I did think the idea of Larry surviving the shipwreck stretched belief a little too much, but this was overall an interesting tale and I enjoyed the dilemma of it, although this was a dilemma that I have heard Suspense do before! In Movie Musical Challenge, I'm watching all 25 picks for AFI's Greatest musicals starting from the bottom. 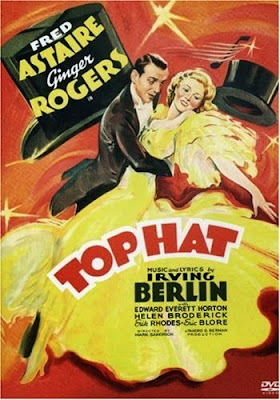 Number 15 is the 1935 film Top Hat starring Fred Astaire and Ginger Rogers. There just had to be a classic Astaire/Rogers film on this list! Top Hat is such a charming musical. The story is funny and farcical and very light-hearted. It revolves around Fred Astaire's character - Jerry - who is instantly interested in Dale (Ginger Rogers) and attempts to woo her with tons of flowers, sparkling dialogue, and lots of dancing and singing. And some stalkerish behavior LOL. I really loved the dialogue in this film actually - so many great one-liners and comebacks. The shows, the neon lights . . . the cute chorus boys! It's where Justin has always wanted to be--and now, with a winter internship for a famous actor, he finally has his chance to shine. If only he could ditch his kind, virtuous, upright, and--dare he say it?—uptight boyfriend, Spencer. But once the internship begins, Justin has more to worry about than a cramped single-guy-in-the-city style. Instead of having his moment in the spotlight, he's a not-so-glorified errand boy. Plus, Spencer is hanging out with a celebra-hottie, Justin's best friend Becky isn't speaking to him, and his famous actor boss seems headed for flopdom. Justin's tap-dancing as fast as he can, but all his wit and sass might not be enough to switch his time in New York from nightmare-terrible to dream-come-true terrific. This is such a fun read! Justin is a flawed but passionate teenager, who learns so much about himself in this book, while also getting a fantastic behind the scenes experience of Broadway and theater. Although the story doesn't quite get into that aspect right away. There's plenty of drama and humorous characterizations to set up the main conflict in the story, which revolves around Justin's love life, and some mistakes he makes trying to get the internship of his dreams. And there's a bit of mystery in this story that was unexpected, but helped to keep me really involved in the story. I just had to find out what a certain character was hiding! While the novel is technically YA, I thought that the observational humor, and the voice of Justin didn't always feel authentically young adult - but that didn't really bother me, since I enjoyed the character and his thoughts so much. He's a little crazy sometimes, but in a fun way - and I really enjoyed his sometimes neurotic tendencies. The drama made for a lot of teen angst and overreactions, but sometimes it's wonderful to just get carried away by a fictional character's little problems. And of course, see how it gets resolved in the end! 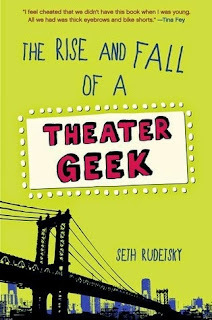 If you are interested in Broadway, teen angst and hijinks - all presented with wry comments and hilarious observations, then I think you will enjoy this book! As an homage to The Scarlet Pimpernel, this book is amazing. As an action-packed race to save the innocent this book is amazing. Yes, this book is just amazing! I loved every moment of it - every character relationship felt sparkling with wit and energy - there was such a wonderful dynamic to the characters that I felt really carried the story along quickly. The villain too - LeBlanc, with his single-minded lunacy, was over-the-top evil and captivating in his spitefulness. If I had to highlight one aspect of this book it would be the characters. They worked together so well. Sophia and René. Oh how I loved these two. Sophia for her prickly fierceness, and René for his sometimes seemingly capricious and sometimes intensely charismatic personality. I thought the author must have had great fun writing these two, as reading them verbally spar and attempt to outmaneuver each other was so much fun for me to read about. There are many times when you doubt René's intentions in this story, but I felt like I loved him so much as a character that it was hard to make me feel wary or suspicious of him. Some of the other characters were appealing to me as well - Tom, Sophia's brother, was so sweet and protective and smart. And René's Uncles were all entertaining in their way. Orla too - the practical and capable Bellamy servant was so wonderful - I really can't adequately express how vivid and bewitching all these characters were for me! The story takes place in the far far future - a great tragedy has befallen our time, and the gadgets and technology we had is a mystery to the characters in this world. There is a distrust of technology and an interest in things Ancient or Before as they call it. It's such an intriguing setting for this story, and allows the author to put a old-fashioned spin to the story while also being able to use some modern technology. I felt like the story mostly felt like a period piece though, which appealed to me. It's historical while also being futuristic/dystopian. The pace of the story was interesting for me. I felt that it moved faster and faster as we got to the great rescue in the end. 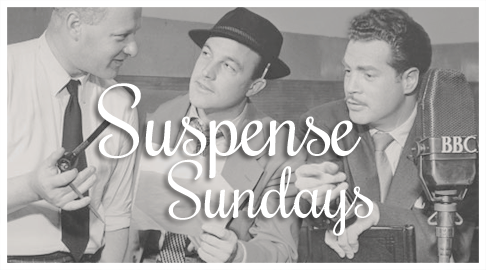 The scenes shifted very fast too, between characters which was sometimes jarring, yet still kept the pace and the suspense going very well. 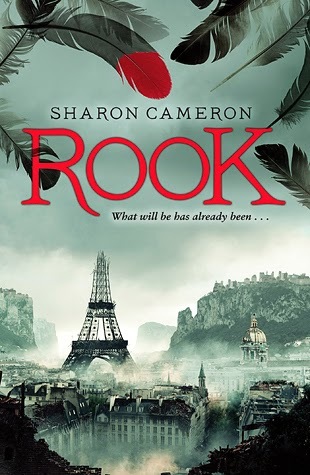 As I was reading, I kept on the lookout to the little nods to The Scarlet Pimpernel (which is a favorite book of mine) and it was great to come across them, but this is a story that stands on it's own, and creates a captivating adventure for the main characters. There is romance, suspense, tragedy and comedy - it's a perfect story for an escape into a new and exciting world! I've been thinking about doing this for a little while, and decided that now would be the best time. 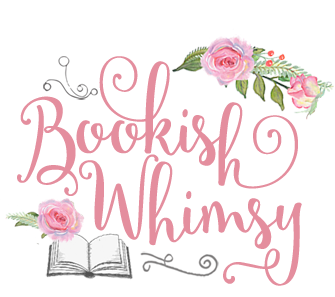 I don't have any new release book reviews or blog tour posts scheduled for the immediate future, so I don't have any blogging obligations to consider. 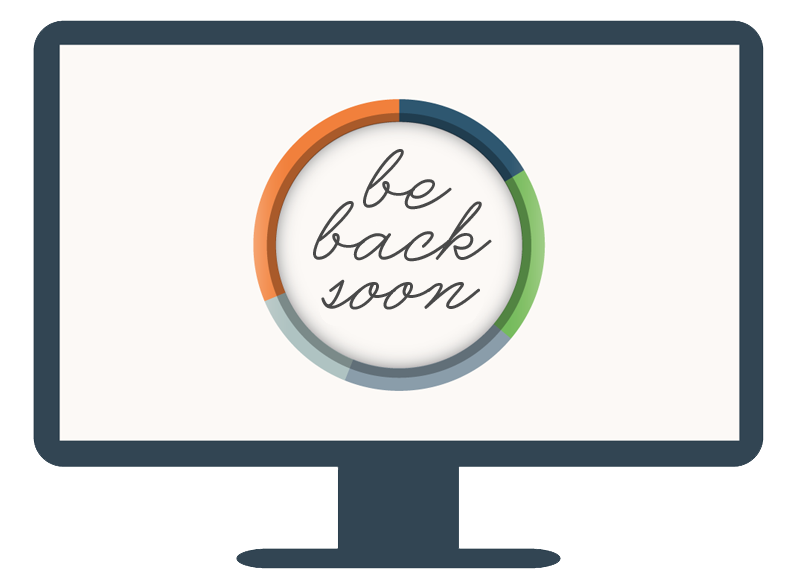 But I am not taking this blogging break because I am tired or worn out from blogging. (I think most of the time when I see a blogger taking a break, I am a little afraid they are really just tired of blogging, and perhaps won't return!) For me, it's more because there are a couple of things I want to focus on, and I think a two week break will give me the opportunity to settle myself. It's nothing major, just personal projects I would like to work on. Blogging is a wonderful hobby, but it does take up so much free time! So my blog will go quiet from today, but I already have posts scheduled for my return week of June 22nd! On that Monday, it will be a review of Rook by Sharon Cameron (which I will tell you now that I LOVED!) And I already know this break will be helpful to me since because of this break I currently have posts scheduled into mid-July! I'll probably still check in on blogs and be online through social media though, because I can't completely let go! :) Thanks for reading this, and just generally for being a wonderful and lovely visitor of my blog. :) I will talk to everyone again soon! Ken has just been released from jail on good behavior, and tries to get a fresh start. But he was convicted for manslaughter and he is having trouble finding anyone to hire him. Angry and unhappy, Ken decides to buy a gun although he's not exactly sure why he wants one. And then he sees the man he was supposed to have killed seven years ago. Geez, it was too easy to buy a gun in this episode. Very disturbing. Especially since the seller was aware there's something up with Ken. But anyways, I thought this episode would lead towards Ken doing something crazy because he can't find work, but the twist of the man Ken was supposed to have killed being alive is a great one. Especially since there is a better reason now for Ken to go 'deep into darkness'. In Movie Musical Challenge, I'm watching all 25 picks for AFI's Greatest musicals starting from the bottom. 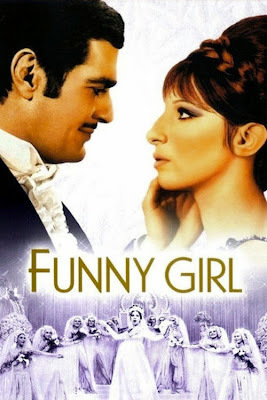 Number 16 is the 1968 film Funny Girl starring Barbra Streisand and Omar Sharif. This is a musical I am familiar with since my Mom likes two movie musicals and this is one of them. (The other being The Sound of Music of course!) I remember seeing this when I was young, and it being on in the background sometimes, so it was great to watch it again and remember how all the songs went. Barbra Streisand is luminous as Fanny Brice - it's hilarious how she keeps downplaying her looks, because she is gorgeous, as well as playing the humor and the tragedy of Fanny just right. And of course her singing is phenomenal - this is Streisand after all. I didn't quite remember how much this story felt like a tragic tale though since with re-watching it, I felt a little sad over the romance. It's very sweet in it's way and Omar Sharif plays the part of a flawed, charming gadabout perfectly. I can totally understand why Fanny falls for him because he is so handsome and that charm is a killer. I was thinking how similar the relationship is between Fanny and Nicky and the two main characters in Show Boat (a musical I watched earlier for this challenge). But in Show Boat it ends happily, while in Funny Girl I think it ends realistically which is fine. It shows the maturity of these characters in different ways. I sometimes felt that Fanny made a mistake being so taken with Nicky, but this movie showed how easily you can lose your heart. The only sour aspect of that is in how Fanny seemed to blame herself for losing Nicky, when it's anything but her fault. Clearly Nicky is at fault for not being able to control his addiction and be the husband he needed to be to Fanny and their child. With the title of the film being "Funny Girl" I should point out that there are still lots of laughs despite the tragic nature of the romance! I really enjoyed almost all the songs, and especially how Fanny could turn a serious number into a comic one, but I think my favorite song and scene from the film is the "Don't Rain on My Parade" sequence. It's filmed so well with Fanny journeying to catch up with Nicky, and I loved the sense of optimism and self-confidence that the song exudes. Despite all of the things that happens to Fanny, I love that she never loses those qualities. This is a wonderful musical! The first book in this series, Traitor's Blade, was my absolute favorite read from last year (and definitely one of my favorite books ever). It has action, humor, an inventive and surprising plot, with an idealistic and capable main character. It would be hard for the second book to top the first for me, given how much I adored it. But this book was an amazing and even more action packed sequel! 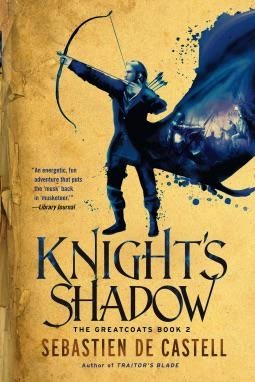 The plot of this novel is darker and much more involved - "Knight's Shadow" is double the length of "Traitor's Blade"- but the plot never drags and every scene is important to the story. And that became very apparent to me as the plot took on many complex twists and turns. In this book there are conspiracies everywhere, and Falcio is hard-pressed to keep to his moral center when so many of his beliefs are severely tested. But I was thrilled with how Falcio continues to grow as a character in this story. The first book sets up his character pretty conclusively, but somehow in the second his personality and strength of character is further tempered by his experiences and it was satisfying to see how he bore all of his trials. The inner strength of many characters is tested greatly in this book and I found that study of human integrity and weakness to be fascinating. This is a hard journey of a story because there are so many pitfalls the characters must take and some really shocking revelations. I felt so intensely invested in the characters' plights that it was almost physically painful to read what they had to endure. The storytelling was brilliant though because the way some plot developments would twist on itself was as mesmerizing as it was shocking. This was a fantastically suspenseful and engaging read - even though it was about 600 pages, I felt like I breezed through the book in my determination get to the end of every action-packed chapter. My love for the first book could have been a fluke, but this second book has cemented my love for the series before it has even finished. It was so invigorating to go on this dangerous, and sometimes painful, but ultimately satisfying adventure with Falcio, Kest, Brasti and the rest of the Greatcoats. This is a series I recommend everyone to read! Stolen Songbird, the first book in this trilogy was a magical read for me. It had a lovely romance that built on the characters getting to know each other, a very suspenseful and fast-paced plot, and an intriguing take on trolls and their mythology. 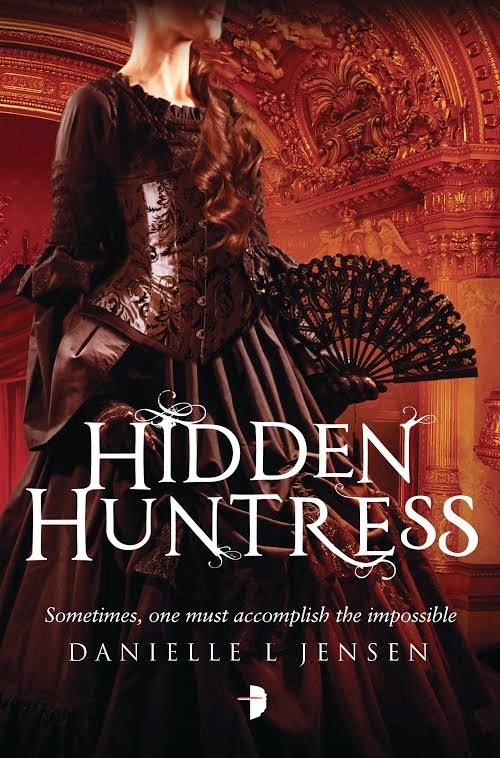 The world-building was especially immersive, and I am delighted that all of the things I loved about the first book, is expanded and built upon beautifully in Hidden Huntress. There's already a lot of tension in this story because of the way the first book ended. While in the first book I did not always love the dual POV between Cécile and Tristan, in this book it was absolutely necessary and the two storylines meshed together perfectly. It's also a major plus that both storylines were equally riveting. Sometimes when a book switches to a different plot line at the end of a chapter, I feel frustrated and indifferent to the new direction the story takes because I want to keep going with the other set of characters, but with Hidden Huntress, I was totally engrossed the whole way through. The author did such a wondrous job of keeping the pace and the interest in both plot lines pretty high all the way. This is such an excellently plotted book - there is no second-book syndrome here! With the romance between Cécile and Tristan being part of the reason why I loved the first book so much, I was afraid I wouldn't enjoy this one because of the circumstances from the first book. But again the author manages to keep the tension of the romance going despite the separation. And I was totally satisfied with every aspect of it. Cécile and Tristan have such great chemistry as characters - it's so easy to understand them and root for their happy ending. Another aspect that I loved about this book is learning more about the fantasy world. This story takes some interesting twists, and manages to make the world of Trianon just as fascinating as Trollus. Which, given how wonderfully detailed Trollus was in the first book, is no small feat! I also loved getting to see more of Cécile's family and friends which helped to flesh out more of Cécile's character. Even though the ending, which is very dramatic, sets up the third book beautifully, I was so glad that some important plot threads were wrapped up, and there's a real sense that the story and the characters are developing believably. This was an exciting read, with just more of everything that made the first book amazing. I can't remember the last time I was so completely satisfied with a book in every respect. If you want a gorgeously detailed fantasy with strong characters and a romance that will make you melt, this is the series for you! Hidden Huntress comes out tomorrow, June 2nd! And ICYMI here's my interview with the author from last week.